Under 13 Tackle - Boysarrow-rightCreated with Sketch. The Highland U12 rugby team had another great day of rugby in Brantford. 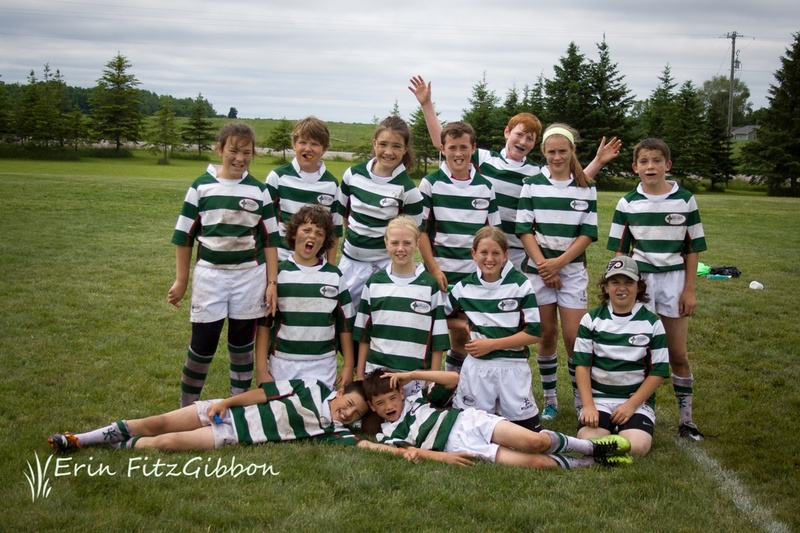 The Highland U12 rugby team had another great day of rugby in Brantford. Although we didn’t come away undefeated like we did in Oakville there was some great rugby played by this young Highland team. The first match of the day had the Highland team in tough against a very strong Oakville side. Oakville started the scoring but some great defense by Cameron and Cole put a stop to it and that lead to a great try scored by Kevin with a very strong run. Jax was in full offensive mode, running onto the ball and driving into to opposition. Gabby then had another amazing run of her own. After the first match Highland was approached by our friends from Waterloo who were short players again. I would like to thank our players who went and helped Waterloo. Those who went over got more game time and were very much appreciated by Waterloo. The next game saw Highland pitted against Stoney Creek and our offense really started to click. Brodie scored our try with a very evasive run. And what should also be noted is that that try was scored after nine phases of Highland offensive plays. Angus, Taylor and Conner did a great job of off-loading the ball and keeping the play alive. The defense in this game was led by Liam who was running down Stoney Creek players all over the pitch and one of those tackles was a try saver after coming almost half way down the pitch. Calvin, Jordan and Zach also had some good tackles of their own. The last game had Highland playing another team from Oakville and finished with our best game of the day. Those who were there were witness to an outstanding game of rugby, hard tackling, accurate passing and incredibly hard running. The first try for Highland had a couple nice passes out to Liam who then ran 2/3 of the pitch most of the time dragging Cru players along with him. Just as the Cru thought they had him stopped he passed off to Kevin who was doing a great job of running in support and was able to put the ball down for a try. The second try was almost exactly like the first except this time Liam was able to get the ball down for a well deserved try of his own. Gabby then had a great run up the middle and was able to pass to more highland players who kept the ball alive for eight phases of play and Jordan was then able to run the ball in for the last try of the day. The players of the day as decided unanimously by the team were Liam and Kevin. They had a great day of Highland rugby and also played for Waterloo in one of their matches. All the Highland players should be very proud of themselves for their fabulous play and sportsmanship on the day.